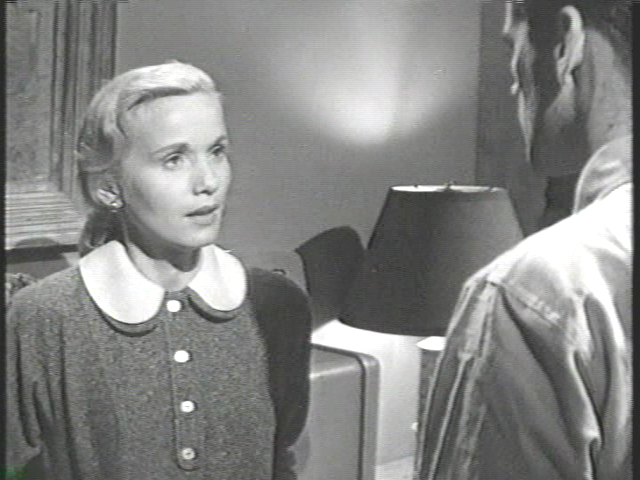 War hero Johnny (Don Murray) hides his heroin addiction from his pregnant wife (Eva Marie Saint) and estranged father (Lloyd Nolan), while relying on his brother Polo (Anthony Franciosa) for financial and emotional support. Meanwhile, Johnny’s supplier — nicknamed “Mother” (Henry Silva) — demands an immediate back payment of $500, while Nolan wrongly blames Polo for “losing” the $2500 he had promised to loan him. Fred Zinnemann’s adaptation of Michael V. Gazzo’s play about a deeply troubled Korean war hero comes across today as earnest but irredeemably dated and stagy. 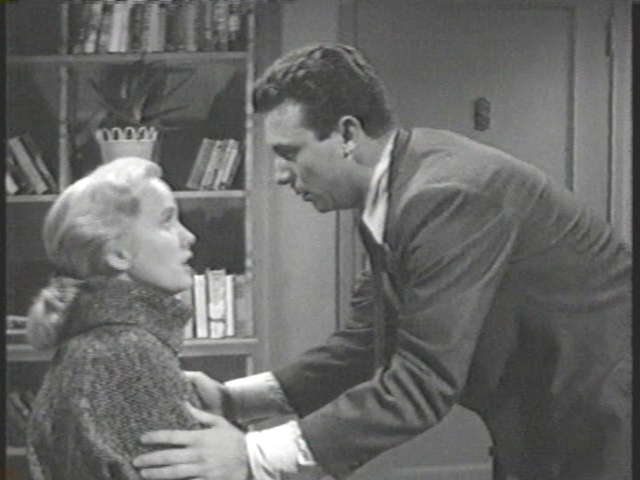 Originally starring Shelley Winters and Ben Gazzara, Gazzo’s play was apparently an eye-opener for 1950s audiences who were unaccustomed to seeing drug addiction dealt with so bluntly; today, however, Murray’s angst-ridden performance comes across as campy rather than authentic; Silva’s portrayal as “Mother” is stereotypically ruthless; and the script often sounds like an after-school special (near the end of the film, Saint says to Murray, “There’s a place in Kentucky for people like you…”). In addition, Zinnemann’s direction is decidedly stagy, with the camera often stuck in one uninspired position for far too long. Despite its flaws, however, the film is at least partially redeemed by Saint and Franciosa, who are sympathetic — albeit clueless (Saint) or enabling (Franciosa) — protagonists. Also effective is Nolan as the brothers’ gruff, estranged dad; but — as many critics have noted — his strained relationship with his sons is insufficiently explored. ‘AHOR’ has not aged well. On the one hand, one might cite the film’s importance in cinema history for its depiction of drug addiction, except that Preminger got there two years earlier with ‘The Man With the Golden Arm’. On the other hand, it’s simply not as compelling as it probably was on release. Personally, I think a big part of the problem lies with the clunkiness of much of the writing, esp. in the first half. It’s written much like an Arthur Miller play (note the similarity with ‘Death of a Salesman’; an aloof father in conflict with his two sons). [In a similar bid for Tennessee Williams-land, the film’s poster aped an image from ‘A Streetcar Named Desire’.] 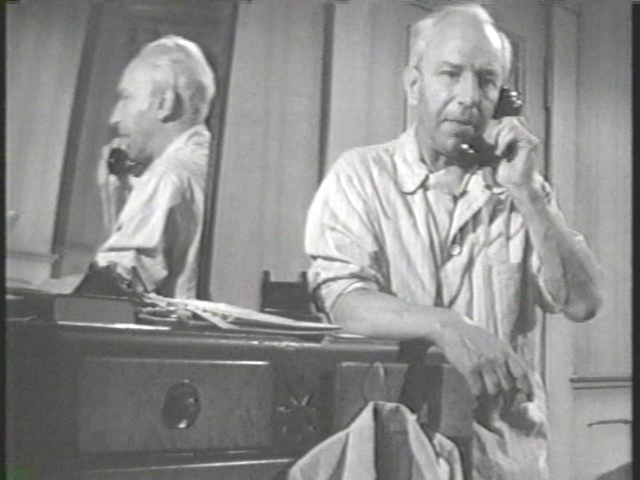 But, although writer Gazzo had a potent theme, he did not write as well as Miller. As a result, the main actors do the best they can at least, by playing out the reality of people in crisis. Stylistically, it’s true: although the attempt was made to open up what was a play, the scenes at home in particular are shot without much flair. (Zinnemann had a similar problem some years earlier when he filmed ‘The Member of the Wedding’.) Scenes shot on location fare better. The best part of the film is probably the last 20 minutes. Not a worthless film by any means, but a bit too awkward for the most part.